This is not the first time that Al Jourgensen has faced his addiction demons. He was a long-term drug abuser (about twenty years) until managing to give up heroin and crack; many of his songs are about using these substances, and he has been arrested in the past for possession. Al managed to give up these hard drugs without much help, but it seems that he just switched his addiction to alcohol. This time he has decided to seek help for his problems so that he can break free of addiction for good; he intends to enter rehab at the end of the month. It appears that Al Jourgensen has fallen into a trap of addiction substitution – this refers to a situation where someone stops abusing one drug but end up replacing it with a new one. Addiction substitution is an easy trap to fall into because using these other substances can appear reasonable in the beginning. This is because most substance abusers will have their drug of choice, and so long as they have this, they may not feel the need to abuse any other substance. For example, those who are addicted to heroin might be able to drink alcohol relatively sensibly, so it is understandable that many in this position would just assume it would be okay from them to continue using alcohol after they quit heroin. When a person caught in addiction quits their drug of choice, they are at high risk of replacing it with something new. It matters not if the individual has previously been able to use this substance sensibly. The drive behind the addiction will still be there, so this new substance can quickly become the new drug of choice. This happens when the underlying conditions behind the behaviour are not being dealt with; it is for this reason that physical sobriety is usually not enough. The experiences of Al Jourgensen are a good example why people usually do need help in order to break free of addiction. Giving up using a substance is not really the hard part; most will be able to do this if they have a good enough reason. Going to rehab is not just about getting the person to become sober, it is all about giving him or her the tools they need to remain sober indefinitely. There will always be a reason why individuals abuse alcohol or drugs. The most common motivation for falling into substance abuse is the inability to deal with life. By giving up a mind-altering substance, the individual is letting go of a coping mechanism (albeit a poor coping mechanism) and, unless this person has some better to replace it with, there is a high risk that they will turn to new maladaptive behaviours. The benefit of entering a rehab programme is that the individual gets to develop effective coping mechanisms for dealing with life so that they never feel the need to abuse alcohol or drugs again in the future. 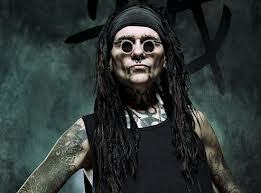 Will Al Jourgensen Succeed at Rehab? Only time will tell if Al Jourgensen will succeed at rehab. He has managed to overcome addiction in the past, but it appears as if he still has plenty of work to do in regards to his inner demons. Breaking free of alcohol can be particularly difficult because it is such an accepted part of the modern Western world. It is definitely a positive sign that Al is getting the help he needs – it shows that he really is serious this time.